What is a Trust? A Revocable Trust? Do I Need One? No matter what the size of your estate, you want to be sure that that the maximum amount of your assets are distributed to the people you intend. Unfortunately, you cannot always guarantee your loved ones will receive what they deserve with a will alone, and you may be interested in forming a trust, particularly if you want to begin asset distribution while you are still alive (as you would in a revocable trust). Maryland and Washington DC estate planning attorney Michelle Lanchester can analyze your situation and help form a trust that is right for you. By specifying the conditions upon which your loved ones receive money and property, a trust can provide ongoing management during your lifetime and after your death that will give you peace of mind. A trust is a complex, flexible, private asset management tool containing your written directives that determine how your beneficiaries will receive your assets during your lifetime and after your death. Your trust can effectively specify the conditions upon which loved ones receive money and property over a specified term of years. Trusts can also be drafted for parents who are concerned about providing ongoing management of children with special needs. Trusts do not go through probate and are not subject to probate fees. Additionally, you may be able to use certain trusts to minimize estate tax liability. A number of different trusts may help with your estate planning, but you should consult with a trust attorney to see which is right for you. Revocable Trusts: Also called revocable living trusts, you create revocable trusts in your lifetime through a transfer of property to a trustee. You retain the power to change or revoke the trust until you die, at which point the trust becomes irrevocable. Irrevocable Trusts: These are trusts that you create in a manner where you relinquish ownership, power and control over the trust after it is executed. You generally cannot make changes to theses trusts after they are executed. These irrevocable trusts are generally used as irrevocable life insurance trusts and used for transferring life insurance benefits. Testamentary Trusts: This is a trust created in your will and goes into effect only after you die. Special Needs Trusts: This is a trust that benefits an individual with a disability. This trust is set up to ensure that beneficiaries can get the help they need without disqualifying them from receiving government benefits. Additionally, there may be other trusts available that fit your estate planning needs. A will distributes property after death and names a guardian for minor children. A trust is used to protect and distribute property and assets during life and after death. Everyone needs a will, but only some people will benefit from a trust. A will only goes into effect upon death, while certain trusts can take effect as soon as they are established. If you have significant property to distribute while you are still alive, you could do so via trust. A will goes through the probate process, where a court has to approve its administration (which takes time and can be costly). A trust is not part of the probate estate and does not have to be administered through probate court. A will is a public document after death, while a trust can be kept private. Because trusts are very complex, it is crucial that you contact an estate lawyer for guidance in setting up a trust. 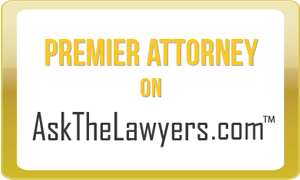 Maryland and Washington DC estate planning attorney Michelle Lanchester can help. With 25 years of estate planning experience, Attorney Lanchester knows how to develop a solution to fit your needs. No matter what your net worth, health or family situation, Attorney Lanchester will work with you to address any questions and concerns, and she will ultimately help you form a trust that suits your needs.